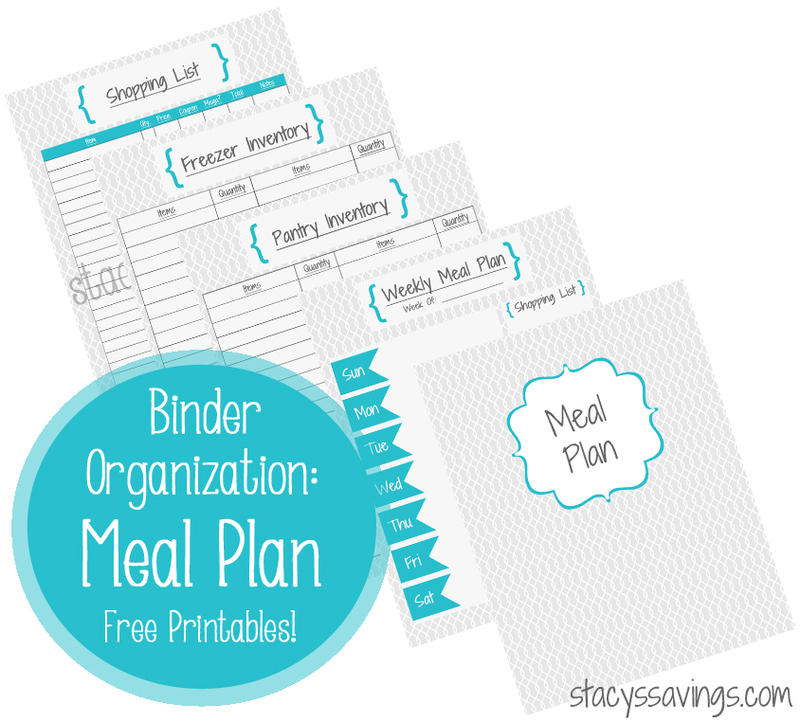 Getting Organized: Meal Planning Binder! Let’s get organized in 2015! Meal Planning is one of my favorite ways to save a TON of money. Get your binder together and start meal planning for 2015! It’s time for the second binder in the Organize Your Life With Binders Series! This one is going to save you some money!! Missed the others? Check out my House Binder, Budget Binder, Blog & Small Business Binder, and Emergency Binder! This is my Meal Planning Binder. This binder has everything I need to put together our meals for the week. Meal Planning is essential to living frugally. There are several goals : 1) No Eating Out! 2) Make Meals Using Items We Already Have! 3) Reduce The Grocery Budget! All three of these goals are totally doable with just a little preparation. That’s where the Meal Planning Binder comes in. Again, I’m using a Staples Better Binder. They really are better binders. This one is pink to differentiate it from the others. I printed a basic “Meal Plan” in 48 pt font for the spine window to match my other binders. I keep a pencil pouch in each binder so that I always have a pencil/pen/eraser. Inevitably, my Meal Plan changes, whether its because we forgot to thaw meat or we had more leftovers than we thought we would have. Pencil is always a good way to go! The printables for this binder match my House Binder. I wanted all of my binders to have the same look and feel, but use as little ink as possible. Again, I made a cover page to slip in the clear binder cover, and use another in a page protector. First and Foremost, this is a Meal Plan, so that’s the first section. I really just meal plan dinners, but you could use this to plan the menu of all of your meals. The key to saving money with Meal Planning is to look at what you have on hand and make meals using those ingredients. The goal is to not need anything from the grocery store, or only need 1 ingredient. Like an onion or something. I include a small square on the top right for a shopping list. This is the stuff that you need to buy that week in order to complete the recipes in your Meal Plan. This isn’t your whole shopping list. That comes later. There’s a small notes section for any extras you need to jot down. Like “find recipe”. Whatever you want! The next section is an Inventory of all of the food that we have on hand. I actually have two separate sheets, one for the Pantry, and another for the Garage Freezer. Each time you use something, change the inventory number. This helps you know what you have so that you can meal plan more efficiently. Most people have more food than they know, and so you should be able to severely cut down on your grocery shopping just by coming up with a plan that uses what you already have. Got Stove Top? Use it to make meatloaf! Many pantry items are versatile! The third section in the Meal Planning Binder is the Shopping List. I do my weekly shopping at Kroger, so this printable is specific to Kroger, by including a Mega column, but you can use it for any grocery store. I’ve used it for Target trips. This printable really helps you figure out how much you are going to spend BEFORE you go to the store. Use the weekly ad, find matchups on a local blog, or write down prices for items you buy all of the time so that you can plan your grocery trip down to the cent. 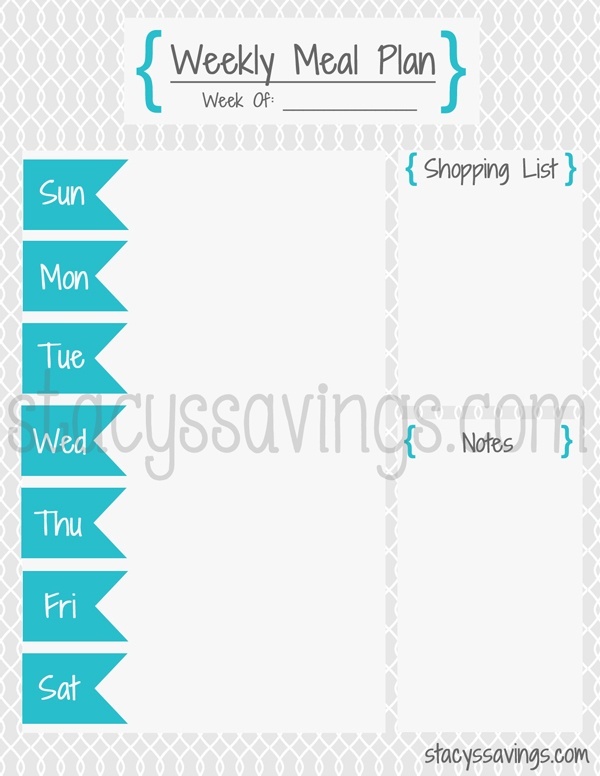 I use this list to figure out how to maximize my weekly shopping budget. Recipes are an important part of any meal plan. I’ve created some “recipe card” printables to keep your favorite family recipes in your meal planning binder. 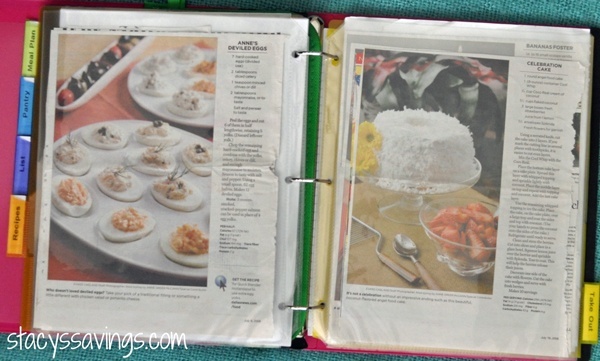 I also keep a ton of plastic page protectors to keep recipes that I’ve ripped out of magazines or printed from online in easy reach. The last section in this binder is the Take Out section. This is my Friday night section. I try not to use it, but sometimes, it’s just easier. 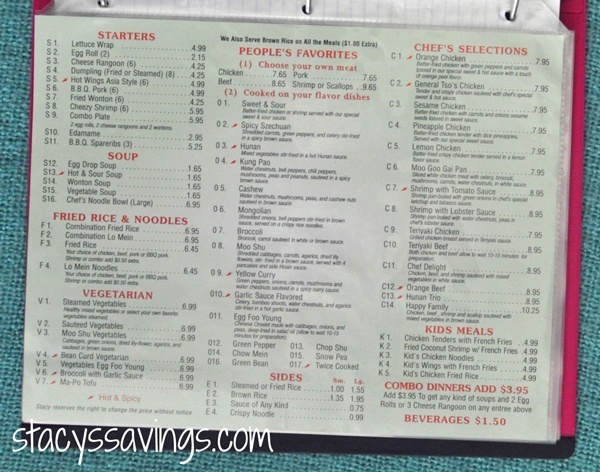 If you have money in your budget, this section is where you go to find your favorite meal from your local take out restaurants. Yeah, they are all online pretty much, but some aren’t. I keep the plastic page protectors here for when menus get left on my porch or I pick one up at a local restaurant. I use my label maker to create all of the label tabs. It just makes the binder look more polished and neat! That’s it! 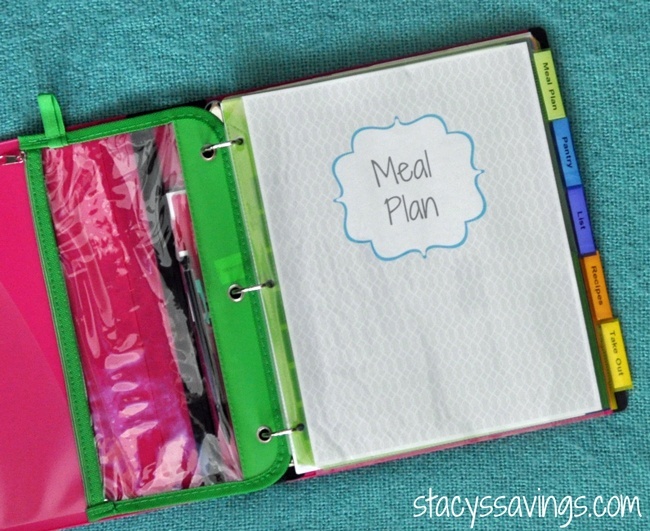 With this binder completed, you can plan your family’s weekly meal menus without ever stepping foot in the kitchen. It’s all right here in one place! 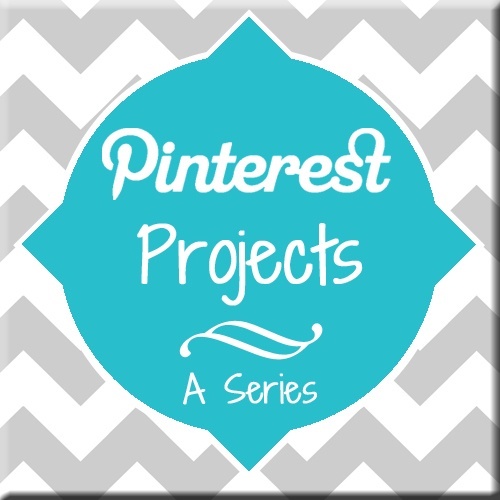 I’m attaching my Printables here for you to download for FREE! These are non-editable PDF Printables. That’s why they are FREE! I do have some conditions of their use: These printables were created by me under a creative commons license. 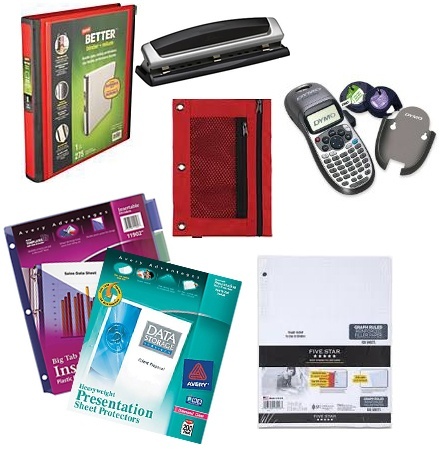 You may use these for your personal use to create your own House Binders, but please do not sell them or use them for any commercial reason. Enjoy! What do you think? Anything you would do differently? 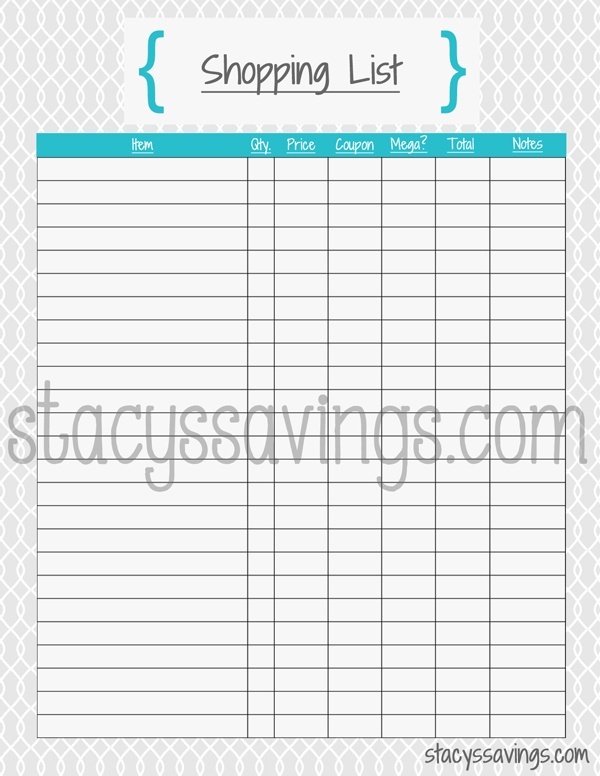 Do you think this would help you plan your family’s weekly meals and save money? Do you like the printables? Tell us in the comments! 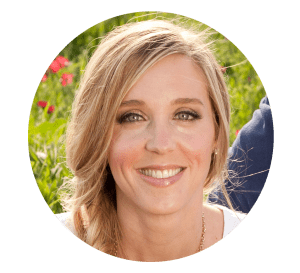 If you like this post, please Pin it to Pinterest! 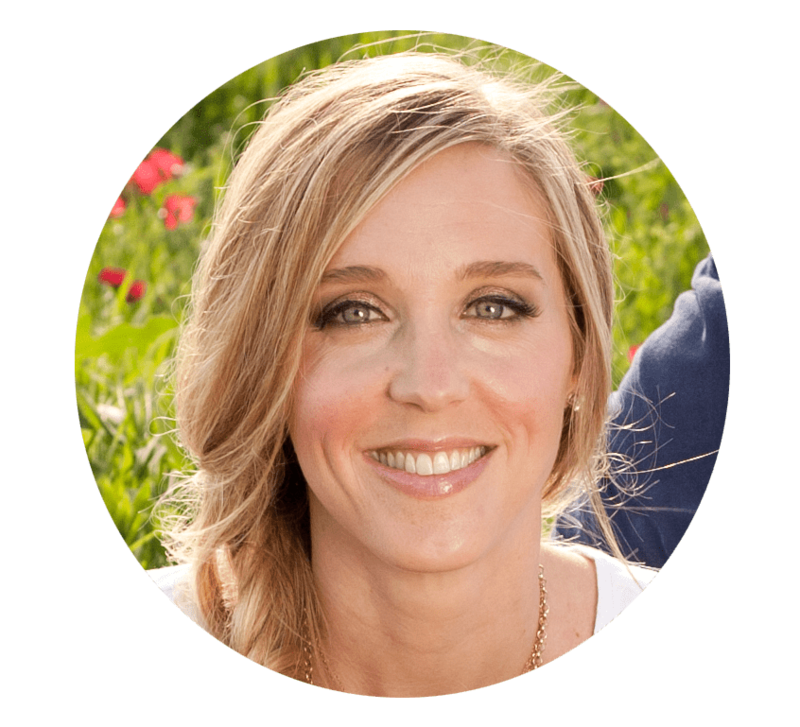 Check out the entire Organize Your Life With Binders Series! Coming soon: House Remodel, Manual Binders, Kid Binder, File Box! My Bad! I totally thought it was there. I added it for you. Thanks for visiting! This is a great idea I am going to follow to get back on the track to savings more money. Thanks for the free printables. This is so wonderful to see what you have created. My son has Celiac’s disease and he loves to plan the meals we make. We have to buy lots of special items to cook with that we don’t use in our regular cooking. This would be great to keep track of what to make and the items we need to buy. Wow ! Thank you so much I xant wait to make my binder and get in top of saving money and trips to shops and using up the food we already have! They are at the bottom of the post. There’s one for each printable! 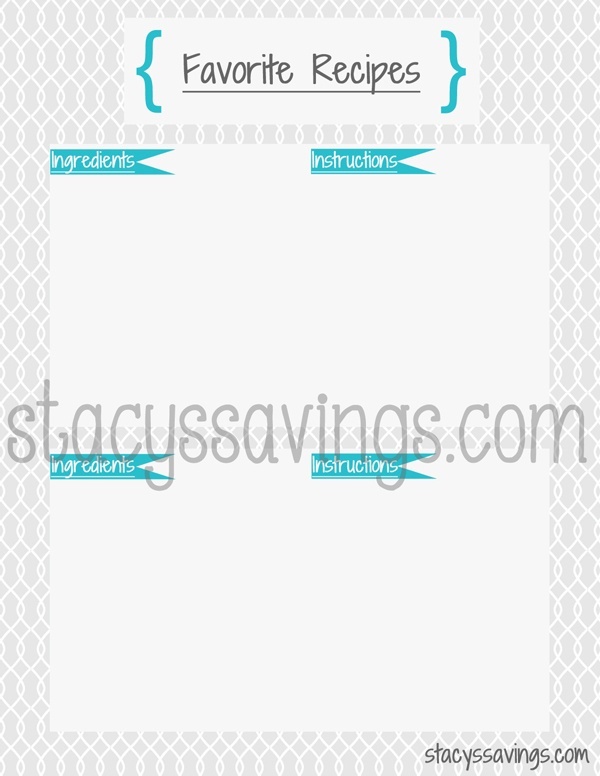 I just made my very first meal planning binder from your printables – thank you they are PERFECT! Excited to give this a try, especially when I swore I would never ever meal plan! You are so sweet! Thank you! Meal Planning has allowed my family to cut our grocery budget in half! It really works! Good luck! Thank you for these. I love them! Can’t wait to start using them. You are so welcome! 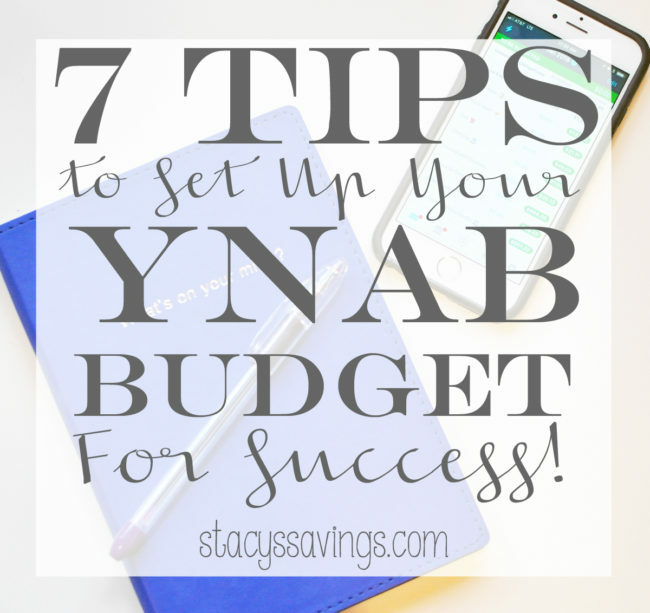 I hope they help you save time & money! I love this! I was wondering, though, what about a fridge inventory page? Or should I just put it with the freezer inventory? Thanks so much!! You could do one for the fridge too! Good idea! Thanks for these printables! Earlier this year I committed to cooking all meals at home, including lunches taken to work. 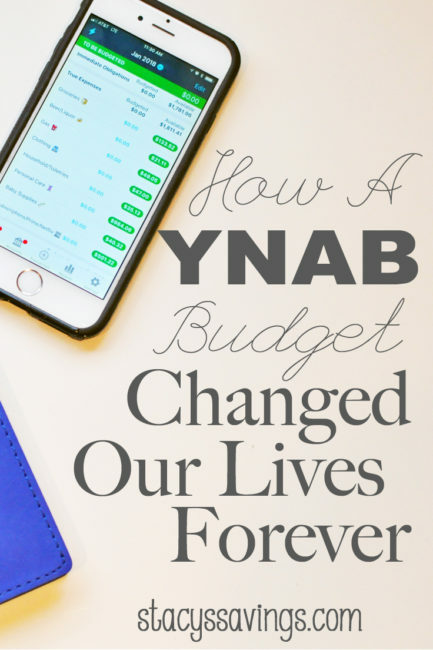 I was amazed at the money I saved and how much better I felt! Even though I only cook for myself, having fallen out of the daily cooking habit, it’s been hard to get back on track. This meal planning system looks like just the nudge to get me back on track! Happy cooking to you! I love all of your binders and how you have set them up. You have done a magnificent job of creating them to go with real life! So many others are impractical and difficult to apply. Thank you SO much! Aww! Thank YOU so much! This made my day! What’s the notebook paper for? I keep some notebook paper in the back of all of my binders for notes and jotting random stuff down. Just in case. Hi, what cute printables! Just can’t seem to find the download link.. The links to each printable are in a list at the bottom of the post. Thank you so much for sharing your binder and printables with us!! I have been trying to create a meal planning/recipe binder for so long and this post has helped me finish it up!! 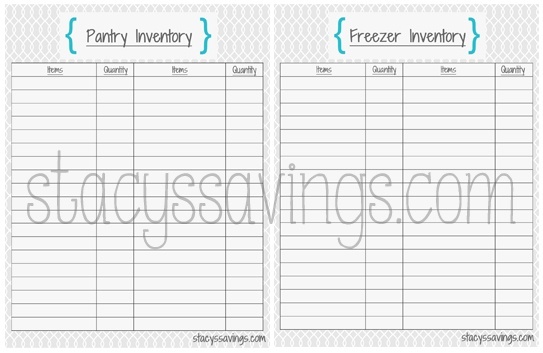 Your grocery shopping printable is genius!! Thank you! I’m glad its helping. Happy New Year!